Don't miss this unique learning experience in beautiful Virginia! Specifics on the Arizona clinic will be posted in the future. Limited to only 12 Participants. Reserve your space today! 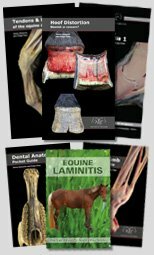 Perfect for the equine professional needing a refresher, or the serious owner wanting a deeper understanding of the equine body. This clinic is geared towards professionals that are striving for a deeper understanding of their work with horses. We are keen to facilitate your studies and be a part of your learning. I'm still amazed. 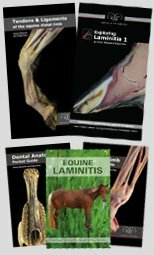 Every textbook of equine anatomy has come to life since the Dissection Weekend. The creativity in your approach allowed for answers to both the anatomical and biomechanical questions that I've carried with me from barn to barn for the past 4 years. Thank you so much for being innovators in this underutilized field, I learned more in one weekend than I could have ever imagined. I will definitely be signing up for another. A huge thank you to Dr. Ann-Marie Hancock and Paige Poss for putting on the 'Whole Horse Dissection Clinic' earlier this week. It was an incredible learning opportunity and the knowledge gained from watching and participating will make a significant difference in how I work with some of my equine bodywork clients. Thank you for sharing your vast knowledge.